This week the rehearsals started at Skånes Dansteater for Lidia’s coming production ”Snapshots of a crowd”. The first days of rehearslas Lidia spent in the studio creating a lot of material together with the dancers. Already on the third day the audience was also invited to the studio to take part of the creative process. ”Snapshots of a crowd” is a commission work for eight dancers at Skånes Dansteater. 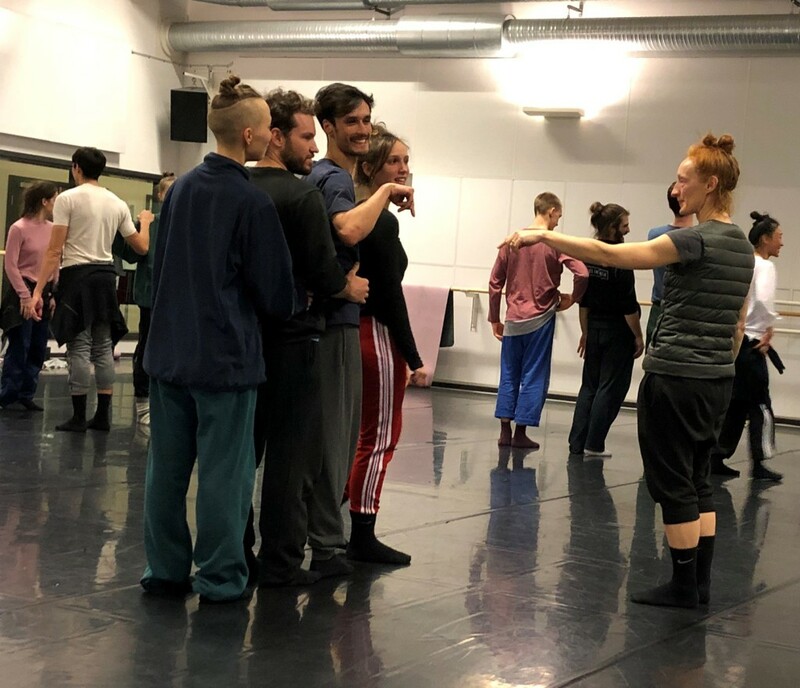 In the creation process Lidia is also involving three students from Codarts in Rotterdam that has their internship at Skånes Dansteater during the last year of their education. The premiere will take place in Seuol, Korea on March 29th as a part of a tripple bill as a part of the co-operation between Skånes Dansteater and Korea National Contemporary Dance Company.